Get $25 Off Ting Devices or Service! I want to spread the awesomeness of Ting because I think it’s a great service. Therefore I am providing this referral link which will get you $25 off either Ting service or a device purchased from Ting. In full disclosure, I also get a credit to my account, which helps to run this blog. The all-time most popular post by Mr. Everyday Dollar is how to use Ting and Talkatone for cell phone service. Many folks drastically reduced their monthly phone bills by using this combination of low-cost wireless service provider and Voice over IP (VoIP) app. Unfortunately, the party is soon ending! 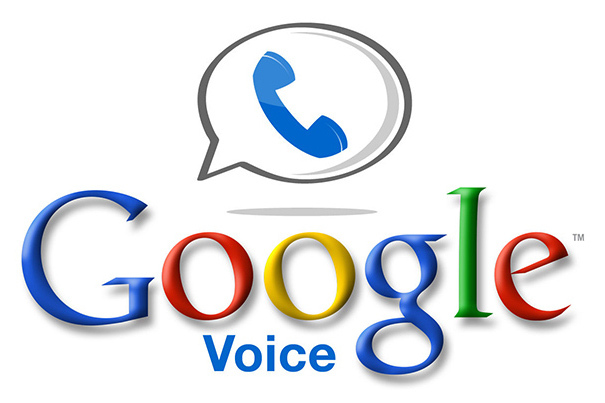 Google has decided that VoIP apps like GrooVe IP and Talkatone – which use Google Voice to provide completely free texts and calls over data – violate their Terms of Service and are shutting them down on May 15, 2014. GrooVe IP has decided to shutter their service, which they announced on Facebook. 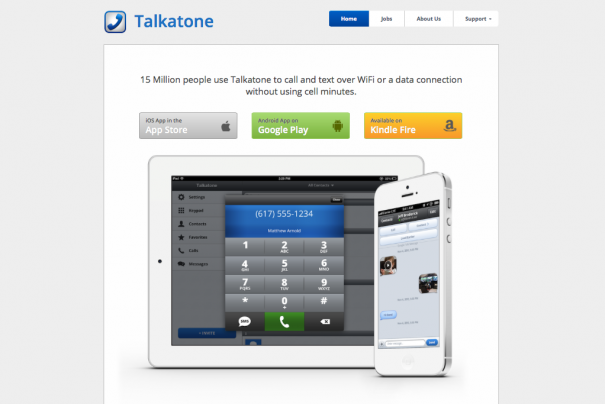 Meanwhile, Talkatone announced plans to develop a new service. With these recent developments, let’s explore what the best new options are for keeping monthly phone bills to a minimum. If you choose to use Ting by itself, you’ll pay the most on a monthly basis because you’ll be charged for all calls, texts, and data, but even so it’s still cheap. The benefit is simplicity: you won’t deal with VoIP apps and their additional configuration. The VoIP app Talkatone decided to create a new service rather than close its doors, which is awesome. Their new service – currently available for Android users with iOS in active development – includes a free phone number, free texting, free inbound calls, and 10 free outbound call minutes per month. You can receive up to 10 additional free outbound minutes per month by confirming your mobile phone number via text, and by linking your Facebook account in the app (although users have complained it imports all your friends making the app unwieldy). If you go over the 10-20 free outbound minutes in a month, you can purchase 60 minutes for $0.99 (these purchased minutes rollover whereas the 10-20 do not). I applaud Talkatone’s effort to adapt their service, and they claim that 80% of users wouldn’t pay anything for the new service based on historic usage patterns. Unfortunately, they have not yet released the iOS app so I haven’t been able to test it. Additionally, they are working on getting number porting for users that want to port their Google Voice number to Talkatone (Google charges $3 to port out). In the meantime, you can forward Google Voice to Talkatone. Update: Talkatone now supports porting. The new Talkatone service coupled with Ting is a good option to save money because you won’t pay a cent for texts and inbound calls when your phone is on WiFi. With Talkatone you’ll pay for 1) the Ting data plan for calls and texts when you’re out of WiFi range, and 2) the cost of outbound minutes after you exceed the free 10-20. If you want to keep your existing phone number though, you’ll need to wait until Talkatone supports porting. Google Voice offers some great features (here’s a marketing video to learn more), but at the same those features can be a bit complex for new users. Most folks use their Google Voice number as the number they give out, and then forward calls and texts to their Ting phone. However, if you want outbound calls from your phone to originate from your Google Voice number, and not your Ting number, you need to use the Google Voice app (Android or iOS) which uses minutes and not data. A useful calling feature is that you can make and receive domestic calls from a computer or tablet within Gmail or on the Google Voice website, for free! To send and receive texts, you have the option of using Gmail (I love this feature), the Google Voice website, or the Google Voice app, which uses data and not texts. 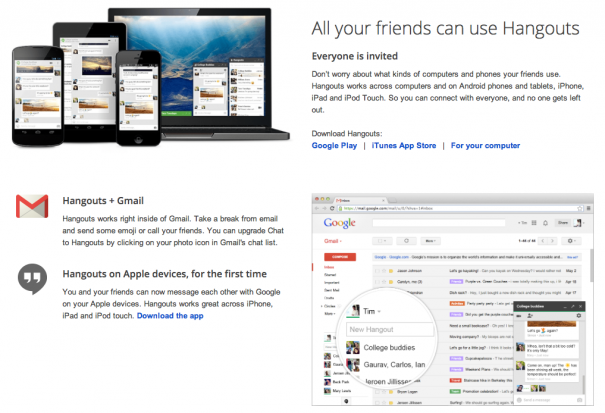 Google Voice Website Free! Free! The downfall of Google Voice is that it does not support MMS, which means you won’t be able to receive picture messages or group texts. However, Google product manager Nikhyl Singhal recently stated they are working to resolve this longstanding issue. If you can forego MMS, combining Google Voice with Ting provides a lot of calling and texting flexibility that will help save you money. With Google Voice you’ll pay for 1) the Ting data plan for texts when you’re out of WiFi range and 2) Ting minutes for calls made through your phone. So when Google decided to make changes to Google Voice, they did so as part of unifying messaging under Google Hangouts. They’ve stated that Hangouts will be the future Google Voice, but at this point it’s half-baked. Today, Hangouts lets you have a conversation – through calls, texts, messages, video chats – with one or more people through Gmail, Google+, or the Hangouts app (Android or iOS). It’s tightly integrated with Google+, which means you must create a Google+ account if you don’t already have one. In my testing of Hangouts on iOS, the Google Voice integration works and it’s possible to send and receive calls over WiFi. The downside is that there’s no integrated text messaging support yet. Surprisingly, it’s even worse on Android: there’s no fully integrated Google Voice support for either calls or texts. It remains to be seen what features Hangouts will ultimately have, and how tightly it will integrate with Google Voice, but I expect we’ll see a lot of changes over the next year. The simple option for folks that want to reduce their monthly phone bill is to switch from their current carrier to Ting. For those that have already done that, and have followed the instructions to use Google Voice through Talkatone, you’ve seen your monthly Ting bill become even cheaper and you want to keep it that way. Ultimately, choosing Google Voice + Ting is the most feature rich and flexible option that should also keep your monthly phone bill to a minimum.